WC-173x : Wall Charger for Batteries America-brand BP-173x battery pack. Charger plugs directly into pack. The WC-173x is a plug-in overnight wall charger for the BP-173x battery pack. Plugs directly into BP-173x battery pack. 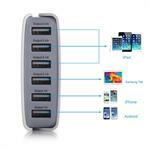 Charges the BP-173x battery pack fully in 8 hours. The WC-151 is a plug-in overnight wall charger for 7.2v batteries such as CNB-151x. Center pole polarity is NEG(-). Plugs into 110-120VAC 60Hz wall outlets. WC-200-205 is a Plug-in overnight wall charger for Bearcat-Uniden BP-200 & BP-205 battery packs. 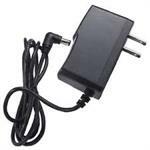 WC-34-39 : Wall Charger for KENWOOD handheld radios. 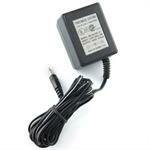 WC-34-39 : Wall Charger for Kenwood HTs. Plugs into 110-120VAC wall outlet; other end plugs into radio. Slow-charges battery while radio is turned off. Fits TH-22, 27, 28, 42, 47, 48, 78, 79: TH-G71, TH-D7A, etc. (CTR = POS+). WC-48-51: Wall Charger for Alinco HT radios. Fits DJ-190, 191, 193, 195, 196, 296, 493, 496, 596; G5, G5TH, X10, V5, etc. Input 100-240VAC. Output: 12VDC @ 200mA, coax plug CTR Positive (+) which plugs into the radio. WC-PB39: Wall Charger - plugs directly into Batteries America brand PB-39 style battery packs (Ni-Cd & Ni-MH). Overnite charge time - varies with battery capacity. WC-PB39 charging rate = 200mA/hour. For use with 110-120VAC wall outlets. WC-163 : Wall Charger for 7.2 volt CNB-163, CNB-163xh, CNB-163xe, CNB-163xs, etc. WC-163 : Wall Charger for 7.2 volt CNB-163, CNB-163xh, CNB-163xe, CNB-163xs battery packs for Standard. WC-ADI : Plug-in overnight Wall Charger charger for the ADI-600x 12 volt battery pack. WC-7Y : plug-in overnight Wall Charger for Yaesu 7.2v battery packs. WC-7Y: plug-in Wall Charger for YAESU 7.2 volt batteries such as FNB-25, FNB-26; FNB-10, FNB-17, FNB-14, etc. Plugs into 110-120VAC outlet; other end plugs into battery. Charge rate approx. 200mA/hr. WC-12Y: Wall Charger for Yaesu FNB-12, FNB-12x, FNB-12xh, FNB-27, FNB-27x, FNB-27xh, FNB-27xs. Plugs into 110-120VAC 60Hz north american 2-prong wall outlets. Charges 12-volt battery packs overnight.